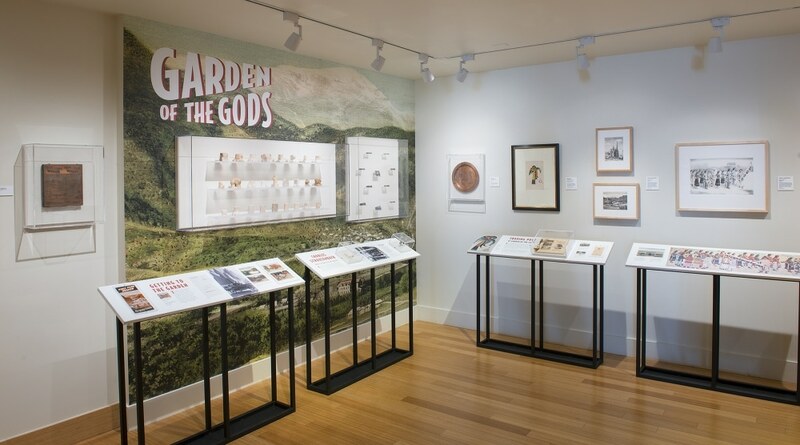 The theme of this project for the Heard Museum was reinvention. 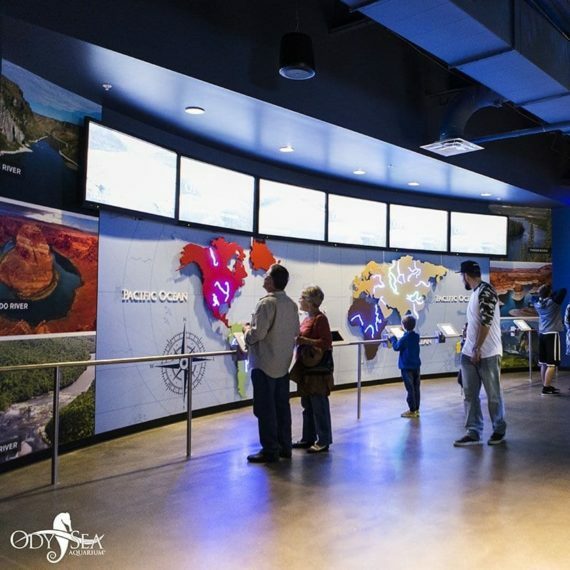 The museum had existing fixtures they wanted to use. While reuse is budget friendly, it also presents challenges. Some of the fixtures were in rough shape and others weren’t built to showcase the artifacts properly. We also needed to create some new metal display stands to match the pieces being re-used. 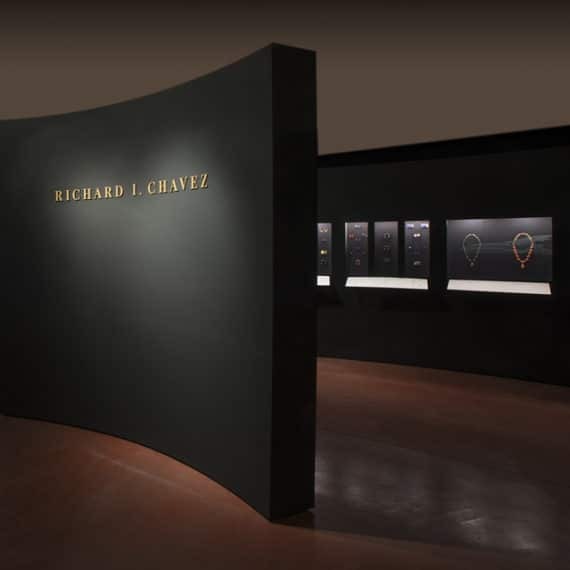 CK Valenti worked with the designers to determine how best to refurbish, refresh and retrofit the fixtures (metal display stands and cases) to create the quality of exhibit for which the Heard is known. We replaced damaged parts where necessary, cleaned and repainted them for a fresh look, and created inserts to make existing cases work for new pieces. 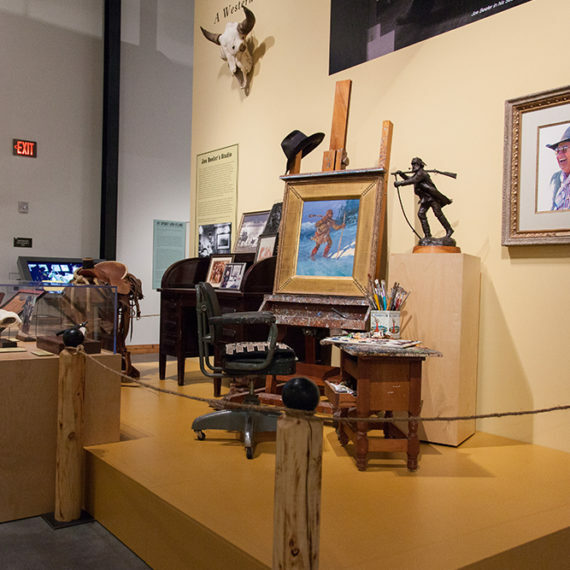 Our work blends seamlessly and the final exhibit is one our favorites. 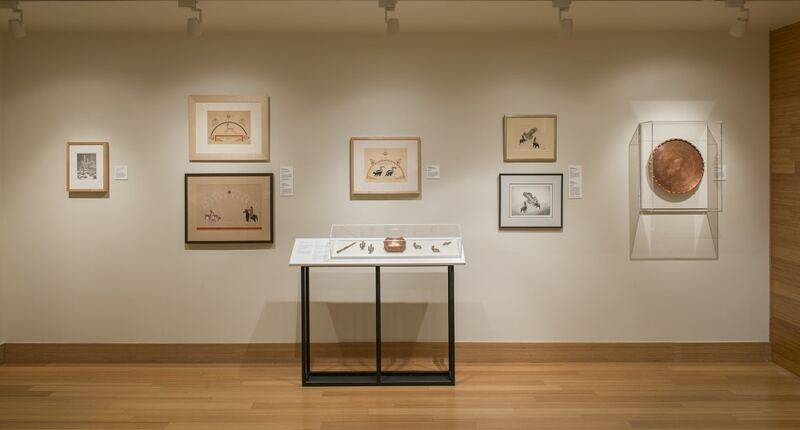 This exhibit explores the paintings and metalworks of San Ildefonso artist Awa Tsireh (Alfonso Roybal). 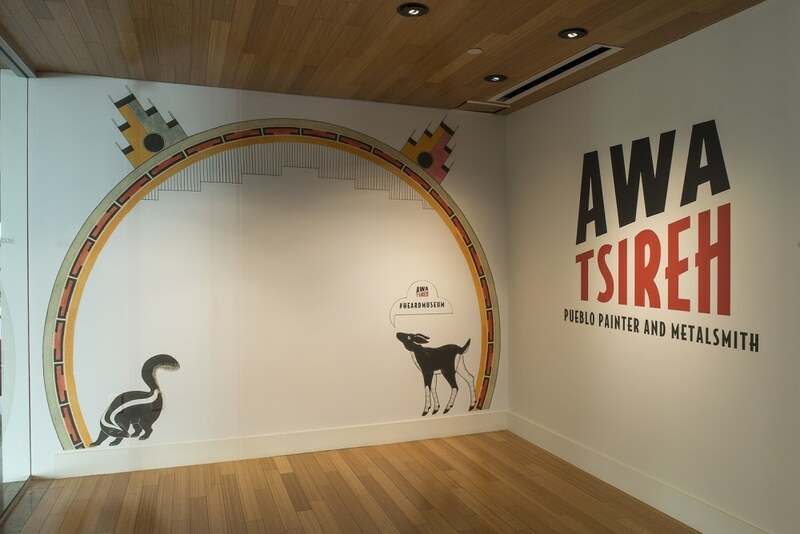 Awa Tsireh’s paintings were exhibited nationally and he received accolades for them throughout his lifetime. Less is known about his metalwork in silver and copper. 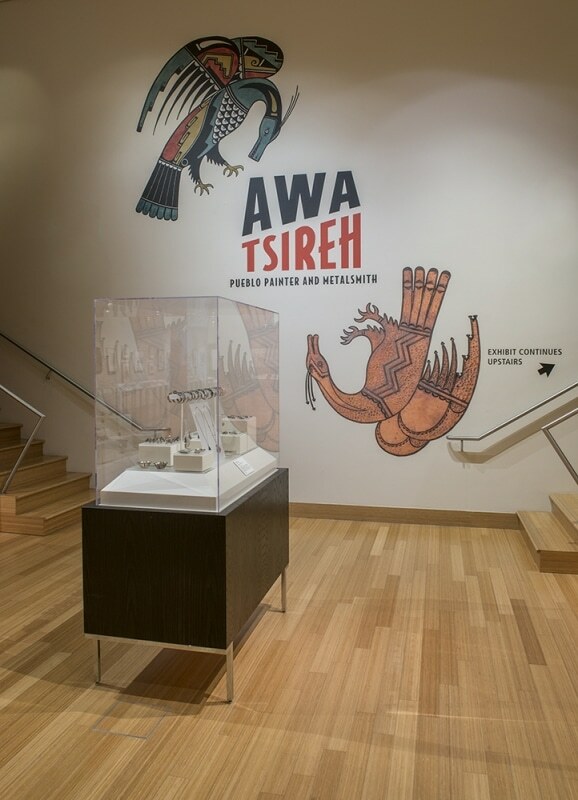 The Heard chronicles both Awa Tsireh’s painting and metalworking, drawing from their own collections along with those from art museums across the US and the collection of Norman L. Sandfield. 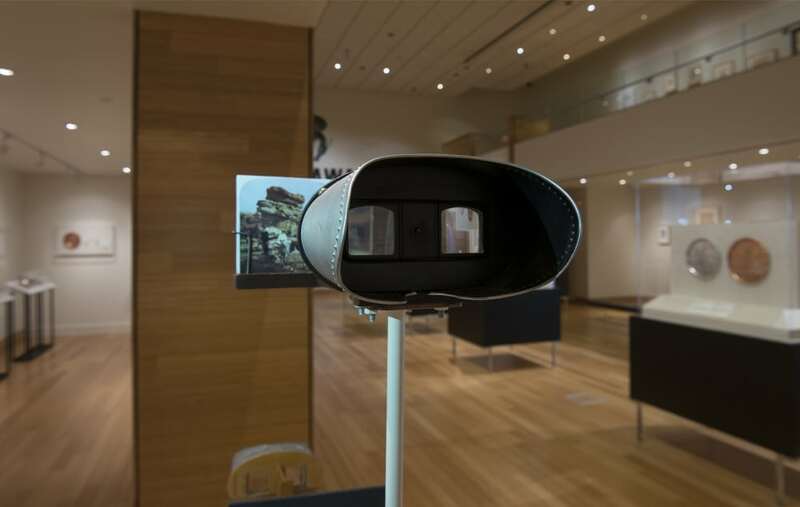 Photography by Craig Smith, Heard Museum. We built new steel stands with a powder coat finish to display vinyl signage with information about the pieces. The stands are temporarily mounted so they can be easily re-positioned and re-used for future displays. 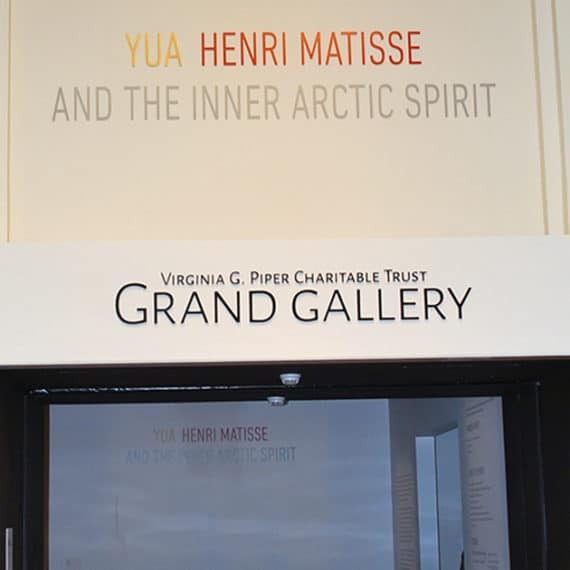 The wall mounted acrylic display cases were perfect, showcasing and protecting the artwork, but the backer boards had holes and needed to be replaced. We created new boards for mounting and painted them a crisp white so the pieces stand out. 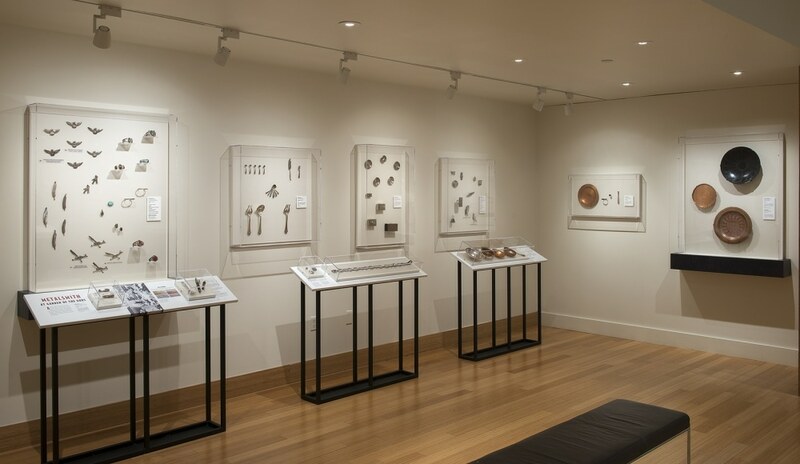 The Heard had a perfectly functional display case and vitrine, but it wasn’t ideal for showcasing delicate metal pieces. 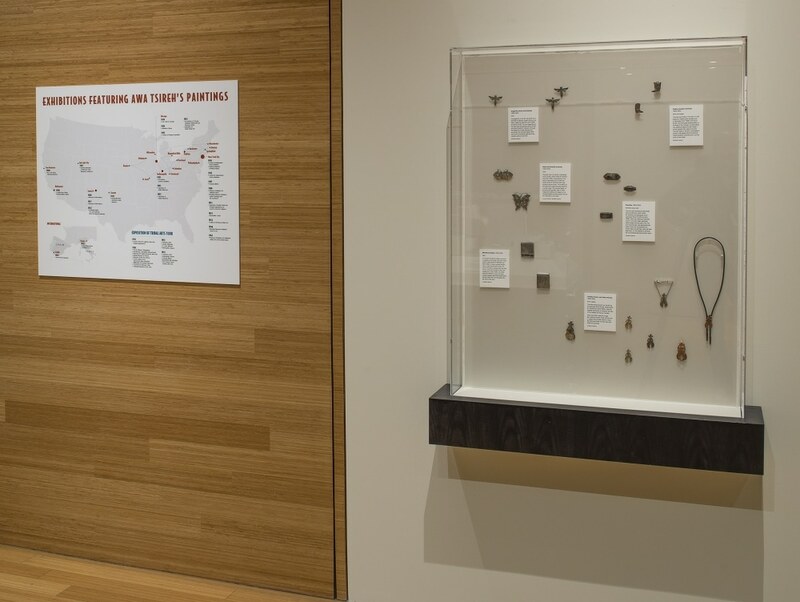 We created a wedge-shaped insert to elevate the artwork and provide a space for an informational placard.